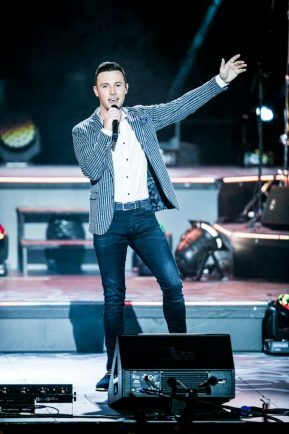 IRISH singing sensation Nathan Carter is heading to Redditch this month as part of a tour celebrating Irish folk tradition with a modern twist. On November 18, Nathan Carter and his six-piece band will perform a wide variety of country, Irish, pop and ballads to create a truly special evening – and it’s something the young star is looking forward to. “I’m really excited to be coming back to the UK and playing to a lot more people. We come to the UK to tour a lot and it’s always great to share new music with audiences,” said the 25-year-old. “You just can’t be the buzz of playing live on stage. I love working in the studio, but for me, playing live is so much more natural. 2017 has been an exciting year for Nathan, and he returns this autumn with his ‘Wanna Dance’ UK tour and new album, the Irish chart topping ‘Livin’ The Dream’. In the grand tradition of Country music Nathan’s selection of tracks on Livin’ The Dream tell stories. hether telling the love story of young man’s arrival in a town where he meets a young girl with whom he falls in love, or thinking about the loss of those close to him, the songs on the new album explore everything – and the live show promises to take audiences on those journeys too. “I draw a lot of influences from traditional county and folk artists and I like to use that music to help me create my own style,” added Nathan, a former head choirboy who sang for Pope John Paul ll in Rome and President Bill Clinton. “I’ve been lucky enough to work with some well established artists over the past year, including Mel C, KT Tunstall and Billy Ocean. It’s great fun as well as being a good way for me to develop musically and as performer too. In Ireland Nathan outsold One Direction, Pharrell Williams and Michael Buble, and became the first country act to reach number one in the Irish charts in 2013 after Garth Brooks, six years before.